Orange Blossom Honey is produced in the citrus haven of South Florida. This honey retains some elements of subtle citrus overtones while remaining incredibly smooth and palatable. It is a Florida favorite as phenomenal as the orange tree itself. Like our beeswax, our honey is produced ethically and sustainably. Our bees roam freely in their native environments and are kept using multigenerational family beekeeping practices. 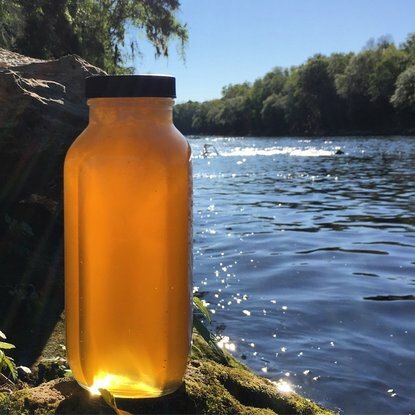 The result is 100% natural, raw honey with seasonal flavors as unique and complex as the flowers that source it. Received today, The honey is so rich and thick, the taste and scent of honey and orange blossoms is absolutely amazing!! Thank you!